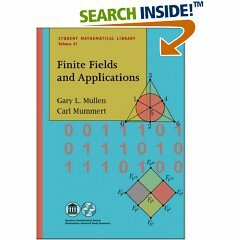 For those of you interested, I have a review of Finite Fields and Applications by Gary Mullen and Carl Mummert now posted at MAA Reviews. You can get to it here, although you have to be an MAA member to view it, or else pay $25/year for a nonmember subscription. If you aren’t an MAA member and don’t want to pay, the bottom line of the review is: It’s a pretty good book. Very good for mathematicians, grad students, and advanced undergrads. Normal undergrads will need patience and perhaps a lot of help with the initial chapter, which is a lot of serious algebra which unfortunately doesn’t appear to make that much of an appearance in later chapters when the applications show up. 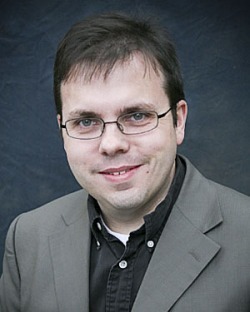 And what’s with the three-paragraph treatment of AES? On the other hand, lots of neat stuff about Latin squares, including a cryptosystem based on mutually orthogonal Latin squares which I’d never seen before. This review was one of the things I was trying to get done last week. It’s gratifying to see a publication process go this fast — I sat down on Tuesday and wrote the review; emailed it in on Wednesday; and it was put up at the MAA yesterday.